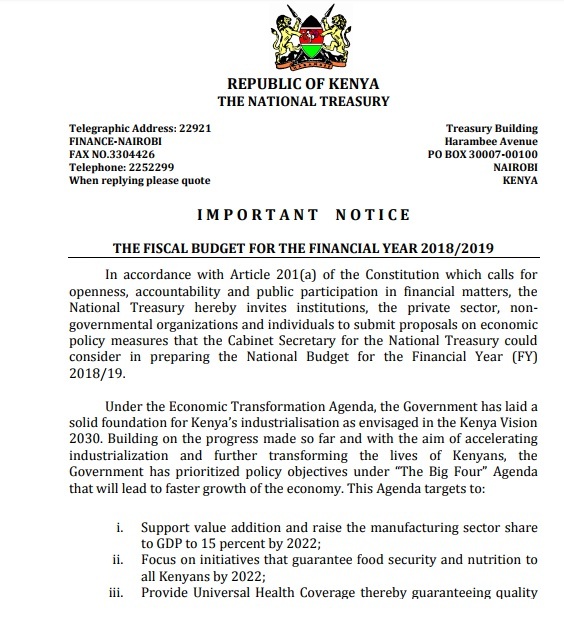 Image: Notice released by Kenya National Treasury on kick starting of the Kenyan Government budgeting process.The million-dollar-question is: Can Jubilee Administration build 500,000 houses by 2012? Access the Public Notice here. 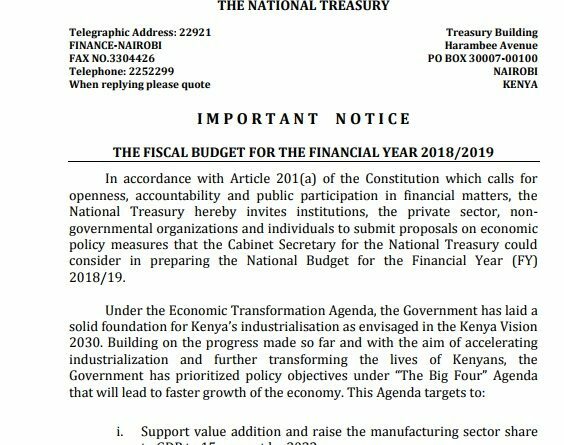 The proposals you submit to the National Treasury may be adopted and published in the Budget Policy Statement 2018/19. 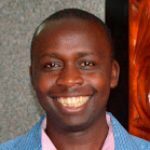 Go for it, think and propose how we can transform Kenya’s economy. Let’s discusses ideas in the comments section below.